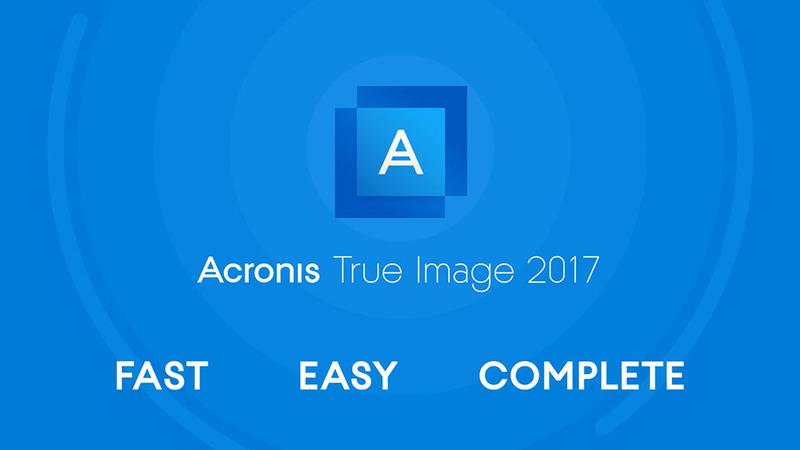 Acronis True Image 2017 New Generation Launched! January 19, 2017 – Acronis, a global leader in hybrid-cloud data protection and storage, today announced Acronis True Image 2017 New Generation with Acronis Active Protection — active protection against ransomware attacks on user data, Acronis Notary — blockchain-based data certification and verification capabilities — and Acronis ASign — the most consumer-friendly electronic document signing service. Acronis True Image is the first and only backup solution in the market that introduces Active Protection technology to detect and prevent ransomware attacks in real-time, automatically recover all data from the backup, self-protect backups and the backup application. According to the FBI, damages from ransomware exceeded $1 billion in 2016 and are growing at an alarming rate, affecting thousands of people every day. This year, cyber-attacks will increasingly threaten data on every personal computer and Acronis delivers the ultimate protection for user data. Acronis True Image is the fastest and most complete personal backup solution, outperforming the closest competition by more than two times and protecting data on Windows and Mac computers, iOS and Android mobile devices, and Facebook social network accounts. Acronis True Image delivers ultimate data protection for personal and family data using AES 256 encryption and stores it in multiple destinations, including external drives, NAS devices, network shares, and the secure Acronis Cloud. Acronis Active Protection for real-time active protection against ransomware. Acronis Active Protection identifies unusual activity on computers and prevents malicious applications from damaging user data, backups, and backup software. Cutting-edge behavioral heuristics detect and prevent new and known ransomware attacks, making the backup more secure, and reducing a number of times data need to be restored from the backup. Acronis Notary for Blockchain-based data authentication. Acronis Notary offers certification of the content of any file and verification of content modifications against the original version. Unique, “digital file fingerprints” are stored in a distributed, immutable database based on blockchain technology. Blockchain allows users to verify the authenticity of the information at any time. This is especially important for valuable documents such as contracts, medical records, and financial documents. Acronis ASign for blockchain-based document certification. Acronis ASign allows multiple parties to execute and certify a document with a secure and publicly auditable digital signature. Users can protect their backed-up documents, which are verified with Acronis Notary and electronically signed – all within the same reliable backup solution. Easy to use, modern interface: A touch-friendly interface across all devices with an easy-to-use web interface for remote data access and management. Additional features for Mac users: Unmounted NAS support for source and backup destinations, wireless backup of mobile devices to Mac computers with local data browsing capabilities; file notarization and electronic signatures via Acronis Notary and Acronis ASign, and support for Mac OS X Sierra. Complete mobile backup experience: AES-256 data encryption, file preview and recovery, browsing of all cloud backups from a mobile device. Backup and recovery capabilities for Facebook accounts: Browse and recover a Facebook account data to an existing or new account with data encrypted and stored in the Acronis Cloud. Acronis True Image 2017 New Generation is a new premium subscription for the award-winning Acronis True Image backup solution. Special upgrade pricing is available for the existing Acronis True Image customers. The Acronis True Image 2017 New Generation will be available in 1, 3 and 5 computer offerings, at a MSRP of US$99.99, US$149.99 and US$159.99 respectively. All subscriptions are for 1-year and includes 1TB Acronis Cloud Storage. Previous : 7 Reasons The 2017 Galaxy A Series Puts The A In Auspicious!